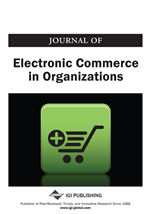 Electronic business (EB) on the Internet has been promoted as a revolutionary technology that will transform “the way we do business.” This paper presents the results of an exploratory study, which compares the financial performance (FP) of 73 publicly held U.S. corporations from the retail industry over a ten-year period. The study analyzes the financial statements of these companies to determine whether EB initiative have had an impact on their financial performance. The results indicate that companies with EB initiatives experienced improved performance in the post-EB era, though not overwhelmingly or across the board. In order to reassure that the observed improvement was not a result of the favorable economic climate of the late 1990s, the 36 companies with EB initiatives were compared against 37 companies with no EB initiatives (nEB) during the same time period. This comparative analysis of 730 sample data points indicates that the EB companies did perform better in some areas than their nEB counter part, albeit marginally.